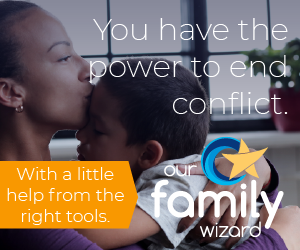 A critical component of most high-conflict divorce and child custody situations is your ability to control your emotions. Further, conducting your day-to-day life smartly is a requirement. Avoid putting yourself in any situation where you can be falsely accused of domestic violence. If you want to win child custody, avoiding this common occurrence along with the customary restraining orders that usually accompany false allegation is paramount. It will be much harder and darn near impossible to win child custody if you fall into such a trap. Many men who experience domestic violence at the hands of their partners don’t report it. Men are rarely believed when they do report domestic violence. Mandatory arrest laws usually result in the man being arrested regardless of the circumstances and even when he engaged in no violence whatsoever. Women have a wealth of resources, financed into the billions-of-dollars, which aid them with everything from free food to free shelter to free legal representation, frequently with no proof of any violence ever having been committed against them. The system is now rife with abuse because false allegations of domestic violence quickly and efficiently separate a parent (usually the father) from the household, the children, and other family assets. Though temporary initially, many temporary orders have a knack for turning into permanent ones. Further muddying the waters is the reality that the definition of domestic violence has been so broadened that it now includes just about anything that would serve to upset your partner in any way. Now, it’s easier just to call the police to pull the plug on a family situation than it is to work out the problem like adults. Further, there is now financial motivation to do so in the form of child support, cars, marital households, and other assets accumulated throughout the marriage. If your ex-partner has a friend who is willing to lie under oath in court about you perpetrating abuse, the mountain you’ll now have to climb to win child custody will turn Everest-like. No judge wants to be the one who makes a mistake and lets a guilty person go free only to read about serious injury or death in the newspaper sometime later. All-in-all, it’s one big recipe for child custody disaster. If, despite your best efforts, you are unable to dodge false accusations of domestic violence and attempts to obtain a restraining order to separate you from your children – and you want to win child custody, you must fight them. You must fight all of them. Get an excellent, qualified attorney and share everything with them. Tell them about any domestic violence circumstances, particularly if there was mutual violence, who initiated it, what happened, and how it was resolved. Your attorney may want to make the judge aware of it up front. Report all threats or even hints that a false accusation may be forthcoming. If you relegate all of your communications with your ex-partner to email (or other low-contact methods), this is exceedingly easier. Let all calls go to voice mail and save them. Return the call only if it is an urgent matter pertaining to the children. Continuing saving money. You’ll need to have lots of it, especially if the false allegations used against you to win child custody are sexual abuse allegations. Line up your witnesses. Anyone who has been a witness to domestic violence perpetrated upon you, especially if in front of the children, must make themselves available to testify on your behalf. You must show up for court. If you don’t, a default judgment of guilty will be made and the restraining order will be in effect. Winning child custody will get a whole lot more difficult as a result. Interim child custody exchanges should be done on neutral territory, in a highly visible public place to discourage situations that might make a false allegation of abuse easier. This list is not all-inclusive. They never are. However, if you conduct yourself well, avoid potential situations where you can be trapped with a false accusation of domestic violence, and keep your primary focus on the children and being the best parent you can be – your chance to win child custody will remain better.